It’s a picture-perfect autumn afternoon, and the Hilton in downtown Richmond is buzzing. I’ve stopped by to snap a photo of Nathan, a part-time employee in the hotel’s kitchen and a student in UMFS’ Courage to Succeed program. Courage to Succeed helps students with autism or other neurological differences work toward a college degree, find work in their chosen field and ultimately learn to live independently. 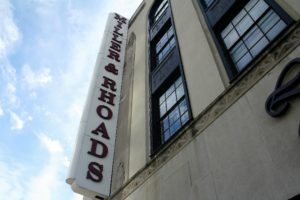 The hotel sits stoically between 5th and 6th streets in the old Miller & Rhoades building. It’s a Richmond landmark. The lobby is immaculate, with bright white columns stretching from the marble floor to vaulted ceiling. 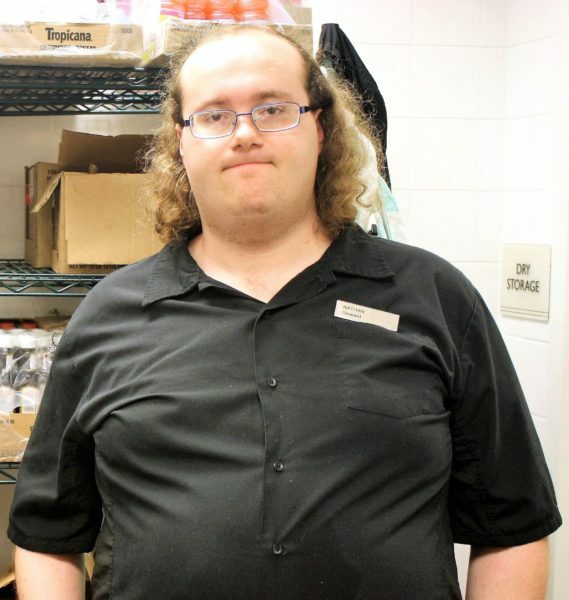 I make my way to the dining room, where a food and beverage employee greets me and swiftly escorts me to the kitchen. “We’re preparing for two big events,” he says. I sense the urgency and assure him I won’t take too much of their time. We push through the heavy swinging kitchen door, and I’m immediately overcome by the smell of fresh-baked rolls and the audible clink-clank of dishes. An employee races past me with a rack full of glassware. “Pardon me,” he says before disappearing around a corner. I find Nathan, 26, near the pantry removing his apron. His shift began at 9 a.m. It’s now nearly 1 in the afternoon. He says he’s getting ready to go on his lunch break, and I can see that he’s been working hard. I assure him, too, that I won’t take much of his time. “I’d like to just grab a quick picture,” I say. He happily obliges. I thank him for his time and am on my way. Earlier that same week, Nathan sat down with me on the UMFS campus to talk about his experiences at the Hilton, where he began as an intern before accepting part-time employment. “And he’s not really bossy unless he has to be,” he said. Lorenzo had nothing but great things to say about Nathan, as well.